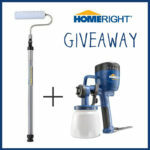 Finish Max Paint Sprayer Giveaway! 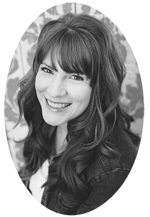 One of my favorite things about blogging and about working with brands that I truly love is that I get to give away products that have made my life easier. One of my favorite toys is the Finish Max Fine Sprayer. The first time I used it was on my brother basement. We painted all the trim, closets, shelves, and doors. Then I used it to stain our fence, which I still need to finish. In my defense it has either been SUPER hot or pouring rain here. And this time I used it to paint some doors of my own! Before I start, I like to test the spray. You can adjust it to be vertical, horizontal, diagnal, etc. And also you can adjust how much paint comes out at a time. I practice on cardboard. It has rained every day for this whole week and part of last week so I brought the painting party inside to my basement. Luckily for this project (but not luckily any other time) our basement is half unfinished. Concrete walls and floors. So I was able to spray down there especially since there is very little overspray. Even though the painting will be a lot less time with the sprayer, the prep is unfortunately the same. I taped the windows to protect them and made sure the syrface was clean. This door pictured is actually a brand new door! It is for my kitchen exterior entrance. And then, in less than 5 minutes, you will have your first coat on! If you hate painting doors with brushes as much as I loath it, you will know 5 minutes is a miracle :) I used Behr exterior Premium Ultra. It is a primer and paint in one. This is seriously ONE coat of dark over white. I did three coats because it was so fast to do so and because I wanted a really nice thick coat of paint. Enter using the rafflecopter widget below. Be patient if you don’t see it right away. It can load a little slower than my blog sometimes. If you have any questions just email me! *You must be at least 18 years old to enter. You must be a resident of the USA to enter. The giveaway will go from July 31st to August 6th. A winner will be chosen by random.org and will be notified by email. The winner will have 48 hours to respond before a new winner will be chosen. The shipping of the prize is the responsibility of the company, in this case, HomeRight. 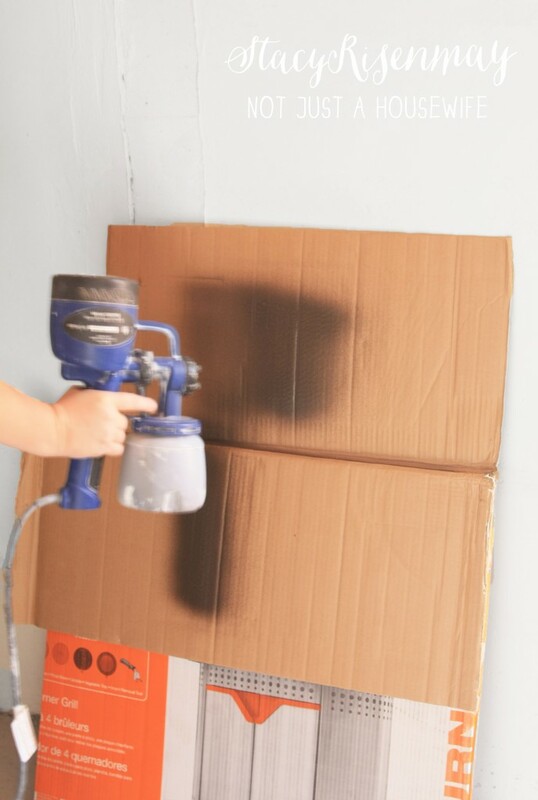 Paint Sprayer Review AND Giveaway!!! I Would paint half the house at this point! Dressers, tables and doors! I have so many white doors that have turned yellow over time. I’d love this paint sprayer to make this job a heck of a lot easier. Thanks for the chance! I would paint my interior doors. I have an antique secretary that I’m 90% done with stripping. I sooooooo need one of these! Thanks for the opportunity – my fingers are crossed! I would paint some chairs. I would stain our deck and fence, paint my kitchen and bathroom cabinets and several furniture projects! I would paint everything! I mean everything! I would start with an old wicker chair and table set I have, then continue thru the house! I would paint the new shutters my husband is making–all 22 of them! Oh my I would paint everything! We just bought a house this summer and have been working on it the past couple of months. I would love to paint our chicken coop door red and actually the who coop needs a fresh makeover so I’d probably do it all. 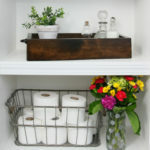 Our shutters, front door, garage door, back door, toddler bed, cabinets…ALL.THE.THINGS!! I would paint everything but I would start with a bed frame that has been sitting in my garage for months waiting to be dressed in a bright new color. I’d paint some doors in our house. And, if it’s big enough for the job, the exterior of our house needs painted, too. I would use it for various projects around our house!! What wouldn’t I paint? First up would have to be all our garage shelves!! I would use it to paint our fence…furniture…projects…anything! The first thing we need to paint is our kitchen cabinets. Next, would probably be our front door as well. So sorry you broke your camera! I would paint some doors and walls quite quickly it seems. I am decorating my son’s big boy room in a vintage airplane theme, and will be painting his big boy bed red! I have always wanted a paint sprayer for these types of projects! I would paint a bookcase and hutch. I would paint things outdoors- shutters, furniture, doors etc. I could use the a million times over!!! Thanks for the chance to win. We’d finish painting the house …. this would make life sooo much easier!!! we could put this to GOOD use. I have some outdoor chairs that need a color update. Something bright and fun! I would so love to have a paint sprayer. 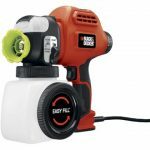 I have been saving my money and asked for a gift card for my birthday but wouldn’t it be wonderful to actually win a paint sprayer? Christmas in July (or August). My twin tweens are getting their own bedrooms this summer, so I would use the sprayer to paint their new rooms — I have a lot of painting to do!! Great giveaway!! 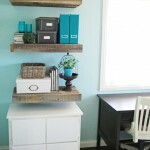 I have a “rescued” desk for my granddaughter that will have to be painted… this would be a great help. Thanks for the chance to win! I’d love to use this sprayer to paint a piece of furniture I promised my sister I’d redo for her! My front door and then a buffet piece for mmHg parents new house! 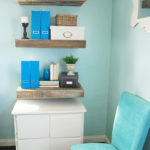 I would paint my bathroom shelves!!! Would paint all of my bedroom furniture! My sister just moved to a new home and she is having me help with lots of projects–most of which involve painting so this would be a wonderful tool to have! I have stained trim I am painting by hand an off white color throughout my house. This would really speed up the process! Especially on the doors:) I love how it doesn’t overspray! I would paint my doors inside and out for a stunning look. I have a small Amish-style jelly cupboard that functions as our landing pad. It’s currently an unfinished oak look and on my painting list! 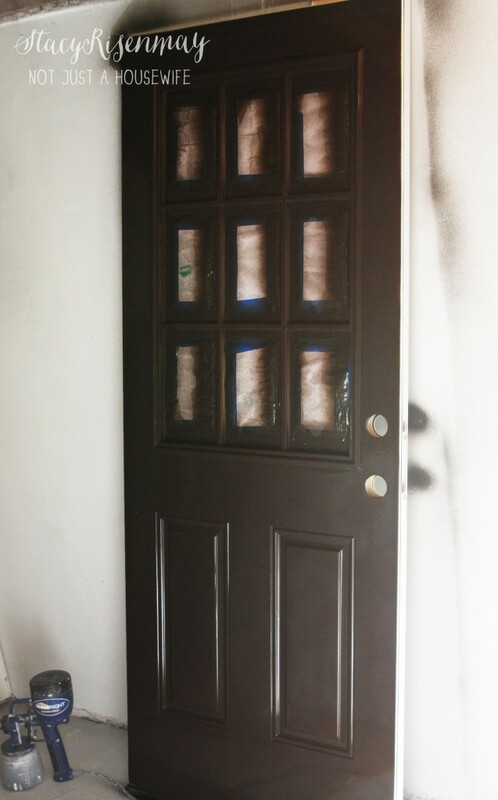 All our doors need a fresh coat of paint! I want to paint all of my doors black! Doors!!! I have been putting it off for so long. The question is what WOULDN’T I paint! I have an amazing cabinet that has a ton of nooks and crannies that this would be perfect to use on! I’d paint my desk, it really needs to be repainted! If I won this, I’d start with the floors in my upstairs, then my kitchen cabinets and door. Thanks for the chance! We are doing a bunch of landscaping projects that need painting! Also, kitchen cupboards, walls… So many things! 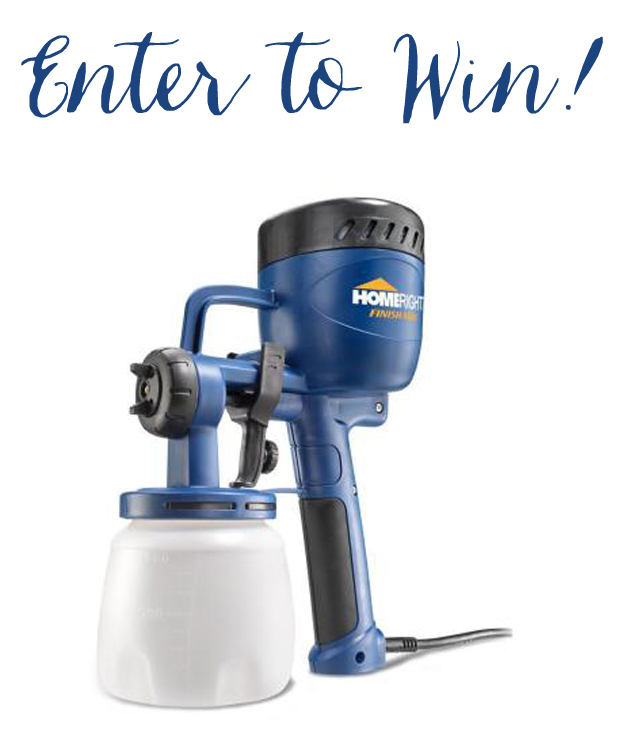 I might get the courage to paint my kitchen cabinets if I won this sprayer! My husband & I are getting ready to paint the entire inside & basement of our house. This sprayer sure would help. i would paint my daughter’s room ! :) she has colored over the walls so much it needs painting! I have a bookshelf just waiting to be painted, I keep putting it off hoping I can justify buying a paint sprayer! Plus, then I could tackle the 200 other projects in my house that I’d paint if only I could feel confident I’d get even coverage! I think I’d start out with my doors. Then I’d paint everything else in my house that needs it. We are going to be moving to a new home and there will be LOTS to paint! This would make it SO much easier! Sorry about your camera – home you can get a new one soon. This is just what I need to stain our fence. I have SO many painting projects in the works. This would be a lifesaver! I have a bunch of furniture that I would paint! There are too many things that I would want to paint with this to list them. I am just starting my kitchen so this would be a GREAT help in there. Then I have 3 hallways, a formal dining room with pocket doors and a formal living room with the other side of the pocket doors :), then a bedroom, then a shed, then a barn, then, then then! 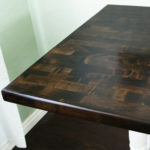 I love to refinish furniture! I am a new retiree and I have just discovered the joys of furniture painting. I would love to win this spray painter to paint MORE furniture, the doors in my house, ALL kinds of things!!! My daughter, son-in-law and grandchildren and friends have been bringing things to my house for me to paint, that’s how much I’m loving this painting thing! 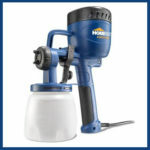 SO, keeping my fingers crossed that I win this paint sprayer!! Oh my goodness, I have pining after one of these forever! I would paint all of the interior doors at my house! We’ve been here 7 years and they’re all an awful builder’s beige, but I just can’t bring myself to do it! I have so MANY things that need painting it’s hard to choose which one. Definitely would start with a chair my Mom gave me MONTHS ago. Love that Home Right Sprayer!! Have many many furniture & remodel projects waiting when move into my new house! This is awesome – I would paint a chair! I would repaint all my doors in the house as well as the front door. I have paint peeling off the kids doors because they just couldn’t help peeling it off in patches. 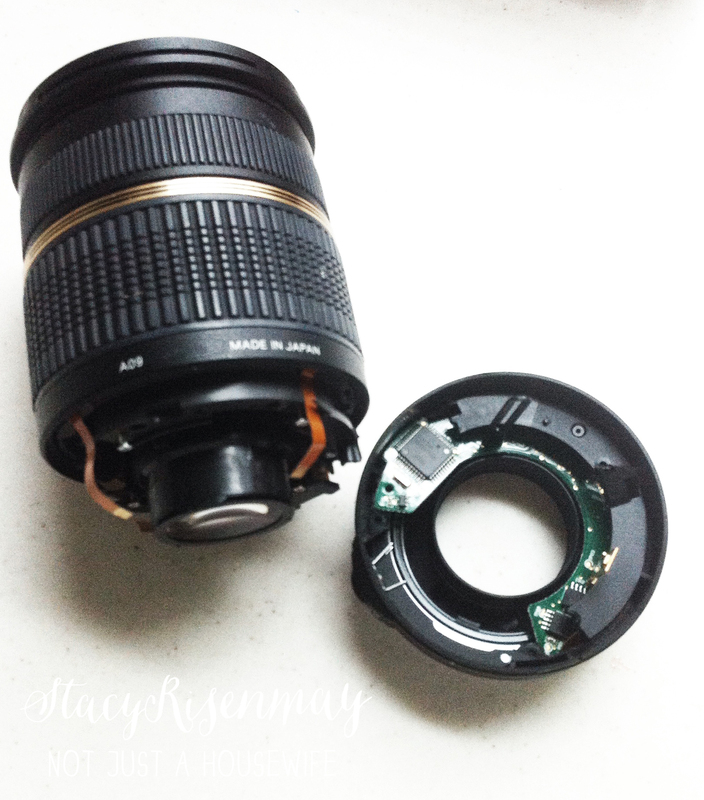 I’m so sorry about your camera lens! It made me sick for you just to read that. I would paint my cabinets!! I would have painted the front porch, but it’s done, as well as some thrift shop replacement windows. Which I thought of seeing your door of many windows. I happened to buy some painter’s tape (brand??) corners, which I love. They make painting windows that much faster when you don’t have to fiddle with getting the corners perfectly covered. Anywho, still have to do the back porch, so I’d love this tool. So sorry about the accident. That’s gotta hurt. Please pick me! I have a GIANT entertainment center I want painted and this would be a life saver! Pick me! I have a GIANT entertainment center I want painted and this would be a life saver! I would paint the headboard I just made for my son. My dining room table, six chairs, china hutch and buffet. Yeah, it’s a huge job!!!! Our picnic table would be my first project! Needing to stain our deck right now. I think this would work well. My whole upstairs! We bought a house a year ago and I haven’t been able to work on it yet. I’d give my front door a whole new look with this. So much to paint, so little time! I would paint my house!! I am replacing all my interior doors. This would be perfect to use for painting all of them. I have a shed that needs painted, a deck that needs stain, and a ton of other projects. I so need a quality sprayer for latex paint. My HPLV is not working for me. I so need a quality sprayer for latex paint. My HVLP is not working for me. I have doors that need painting and I could find a bunch of other items to paint also! Thank you! I have a door that I brush painted and it needs another coat! The sprayer would be so much better than the roller I purchased to fix my brush strokes! I love your door. I have an old kitchen table and chairs screaming for paint and a sprayer would sure help to make the task easier. I really need to finish painting my front fence. I gave up because using a roller was way too time consuming. I want to repaint my kitchen island, but I’ve been putting it off because I think it’s going to be a pain to paint it with a brush and not end up with lots of brushstrokes. Also, we have a fence and small deck we want to re-stain. I’m going to check out this sprayer now. I love this give away! I am a paintaholic. I would paint the inside of a shed i am making over. As soon as I pick a color for my front door, I am going to paint it. This would be amazing! I have a garage full of furniture to paint. So winning this sprayer will help!!! 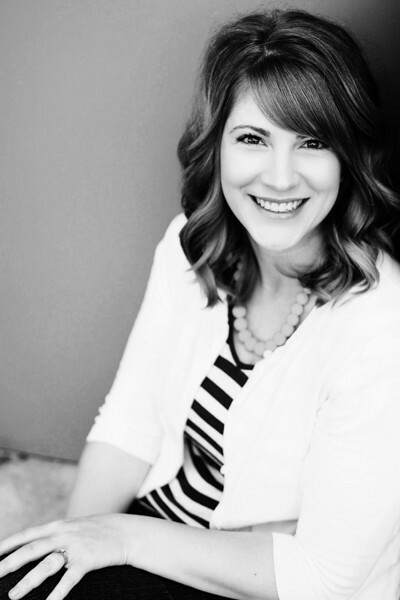 I would paint my interior doors…they’re in need of TLC! And boo to your lens busting…that’s no fun! We will be moving into our second home at the end of the month. I’m not lookin forward to painting and every room, door, ceilings, and walls are in dire need. I know the paint sprayer would make the dreaded task a lot of FUN! Drawers for my twins room. I would paint my kitchen cabinets. I have a whole house to paint! i would paint my BIG garage/barn (we have a full kitchen out there for cookouts/ camps/ school parties and just had insulation foam blown onto the ceiling (uck – a butter yellow ‘great stuff’ kinda foam) that’s my first task to beautify, then down the walls w/ a deep barn red, doors, door frames, dressers…….. oh, the things i could tackle!!! :) thanks and hope you, yours and anyone reading are greatly blessed! Definitely furniture :) Thanks for hosting! I just picked up a buffet at an estate sale that is ready for a makeover. I love the overspray detail on your blog post. We just had someone help us spray our walls and his overspray cost me a day of scrubbing my hardwood floors! I knew that his overspray was just user error and not “just the way it was”! Need to paint some bookshelves & dressers! I would paint my shed. I would love to have this for painting doors and furniture! I would paint my son’s dresser and make it look more grown up. I would paint the garage door and the entry door to the garage. Much needed! I also have a lot of doors I would love to paint, but this would be great for tackling some furniture I have stashed away. Thanks for offering the giveaway! I desperately need to paint our basement and I would LOVE this!!! I would paint everything I own!! I have some side tables I would love to paint. i would paint my chairs. This fall we have plans to paint the exterior of our house. This sprayer would come in so handy!! The first project I would tackle with this is our spare bedroom walls. Some of the wall isn’t even painted yet, it’s been like 3 years. LOVE the giveaway. I would repaint our doors. We just moved in a month ago so now that we have been here a little bit I’m starting to see all the spots the builders missed. Retouching is a must. Then there are all these bare walls that are calling me to paint them. I would love to paint all the mix-matched furniture in my little boy’s bedroom. It would make the room look so much better! Crossing my fingers I win! I would paint my fence and my garden shed! I have two armoires that are patiently awaiting for new colors! So sorry to hear about your camera gear! I would have cried. A lot. I would paint pretty much everything- outdoor bench, picnic table, kitchen chairs… oh the list goes on. I have so many projects, but would probably start with painting the inside of our garden shed, then work on the front and back doors, then side door for the garage. So much to paint! Thanks for offering this giveaway. Sorry about your camera lens. I am slowly replacing my old trim with new white trim, so I would use it for that! I would like to get one of these to speed up the painting process for my etsy shop! Thanks for the chance to win!! We move to a new to us house a few weeks ago. Got lotsa painting to do. Hope something like this would help. I have been wanting one of these for so long! So many places to paint and so little patience :) Thanks so much for sharing! I need to paint my entire upstairs! I would paint my front door. I really need to finish painting my wrought iron front fence I have up on months ago because a brush and a roller were a pita. It would help my furniture business! I’d paint any thing I could get my hands on. I would paint my bedroom. 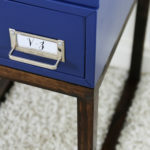 I would start with a sewing machine table I just bought, and then finally work on all of the projects around the house I haven’t wanted to paint yet! Oh the furniture I could transform…and our fence! What a difference this would make instead of using a brush!! My front door is off white, ugly and needs to be painted. I’m thinking a dark grey would look nice. I will paint our kitchen cabinets. It will do so much to help update our space! Wish I could be a winner. Stay at home mom and DIYer needs a few nice toys to play with! I would paint the whole house and everything in between with this! 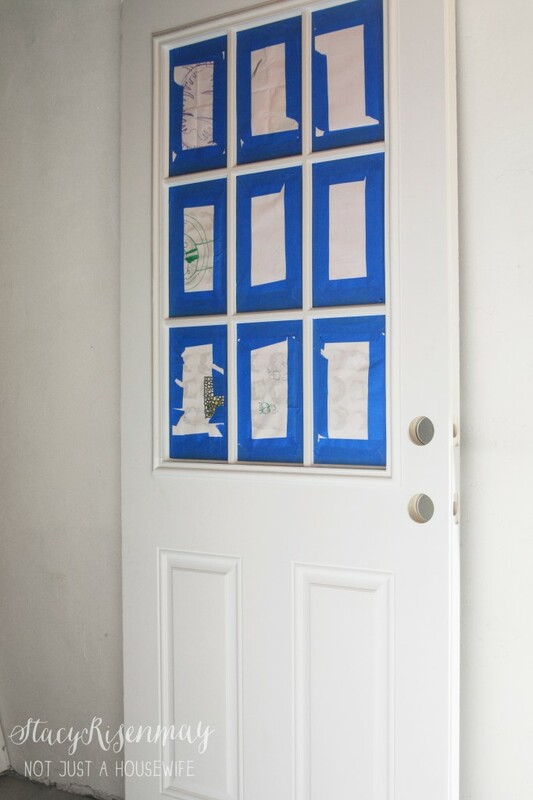 I always think of all the furniture I have to paint….and now I can add more things to my list….my doors!! I think I will paint them red! I have French doors that need some lovin’! I need to paint some doors! You make it look so easy!! I could not do this through FB, not sure why. I would paint everything I could find! I will spray paint all of my interior doors- 10 in all. I really think this will be a tremendous help……. So many things to paint I can’t list them all. I would paint my fence and shed.